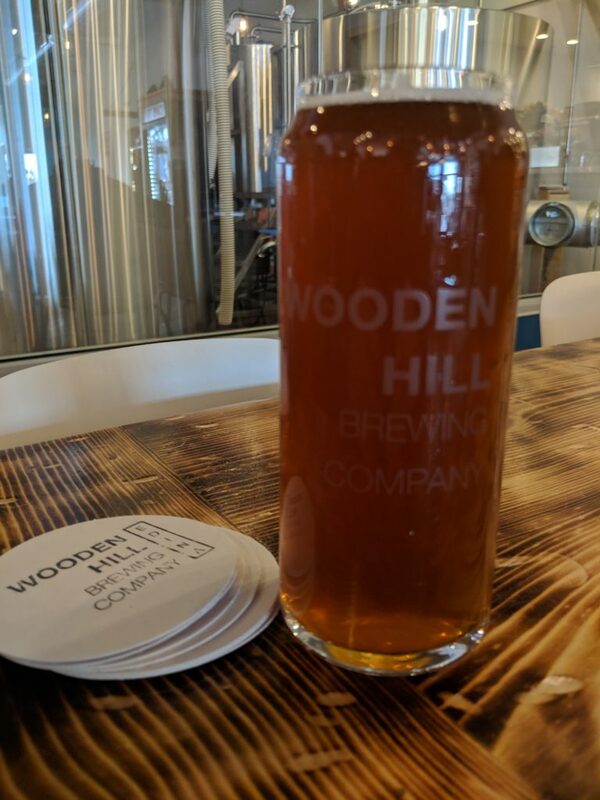 A couple of weeks ago I was invited down to Wooden Hill Brewing Co. to watch part of the brewing process, and talk to owner/head brewer James Ewan for their upcoming Cinnamon Crunch Brown Ale. Today I got to go back for a sneak preview of this beer. I love the premise of a kitschy beer like this, but did this one live up to the hype, or come off as a soggy bowl of cereal. Keep reading to find out! For Cinnamon Crunch I am getting a sneak preview a day, before the initial release. 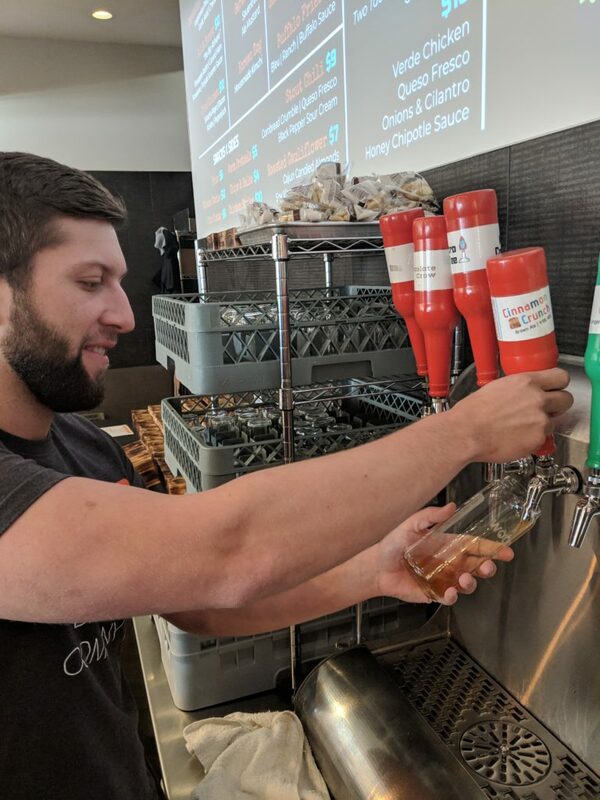 I am at the brewery, and am getting this beer first hand. It pours a hazy reddish light brown. The beer didn’t get a chance to form a head as it poured quick, and they filled the glass to the rim. The aroma is spot on with a fresh and clean cinnamon flavor reminiscent of a certain famous children’s cereal that is it’s namesake. The first sip punches you with that same clean cinnamon flavor, it tricks my mind into thinking I have a spoon full of cinnamon in my mouth. The carbonation is light, but sharp, and blends with that punchy cinnamon flavor. It has a light mouth feel. As I let the beer warm up the cereal breadiness of Cinnamon Crunch comes out, and just adds to the allure. It is a lot lighter than I was expecting. Overall they did an excellent job recreating the “cereal” flavor of this beer, and it easily takes me back to my youthful days of munching on a bowl of cereal while watching my Saturday morning cartoons! Cinnamon Crunch is an odd beer to pair. It’s light and springy, sweet and heavy on the cinnamon all at the same time. My first inclination is to pair it with a fruit tray, or a fruit based dessert. As I think about it further, summer roasted vegetables, like zucchini, would be a good pairing as well. Of course, there are few beers that don’t go well with pork, so get out those pork chops. Lastly, go ahead and pop this one open for breakfast and eat with your cereal! Kick back and enjoy some cartoons while you are at it. 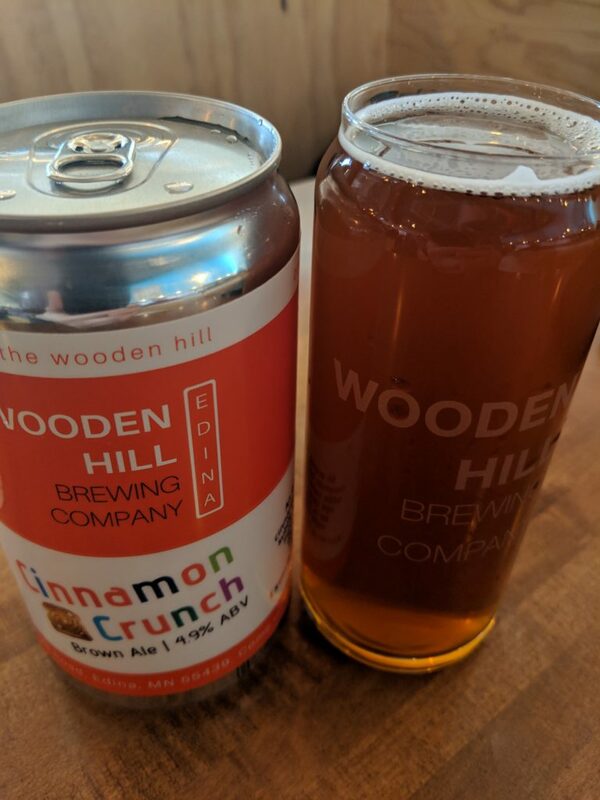 Cinnamon Crunch is the type of beer I live to try, and it makes me excited to have a small part in the local Craft Beer industry. This beer hits all the notes of well balanced, unique, fun, and nostalgic all at once. Supplies of this one are limited, so head over to the taproom today before it is all gone. 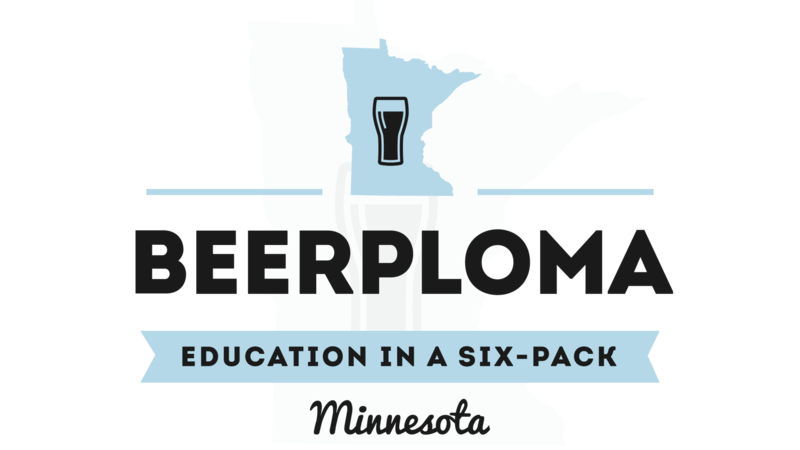 And lastly, yes, this beer easily gets the Beerploma Seal of Approval. I would give it two if I could! Heck maybe even three. Now if you will excuse me, a new episode of Transformers awaits me!